JumpSport of Campbell, Calif., is recalling about 12,500 JumpSport half-fold fitness mini-trampolines sold in the U.S. and Canada. The company has received nine reports of injuries involving contact with the frame, including cuts, bruises, and dental/facial injuries. This recall involves folding JumpSport mini trampolines with a hinged, round metal frame with a black fabric jumping surface suspended by bungee cords. Some models were sold with accessories, such as a handlebar or workout videos. The model number is printed on a label on the upper potion of one of the trampoline legs. 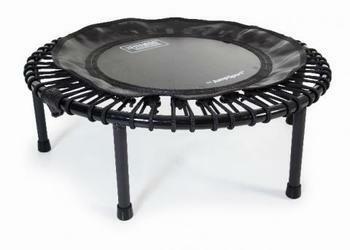 “JumpSport” and “Fitness Trampoline” are printed on the black fabric jumping surface. The trampolines, manufactured in China, were sold online at Amazon.com, Costco.com, JumpSport.com and other websites and specialty fitness equipment stores nationwide from January 2011, through November 2018, for between $250 and $500. Consumers should immediately stop using the recalled trampolines and visit JumpSport’s website to download a new instructional manual and warning materials. If the trampoline is set up, consumers should not try to fold it until they have reviewed the new instructions and warnings. New instructions are also available directly from JumpSport. Consumers may contact JumpSport toll-free at (855) 782-9980 from 9 a.m. – 6 p.m. (ET) Monday through Friday, by email at recall@jumpsport.com or online at www.jumpsport.com and click on “Recall” at the top of the page for more information or to request a copy by mail.